There's trouble over on Wall Street. On Friday, the stock market began to decline, with the S&P 500 — a measurement of the 500 major companies in the stock market — dropping by three percent. 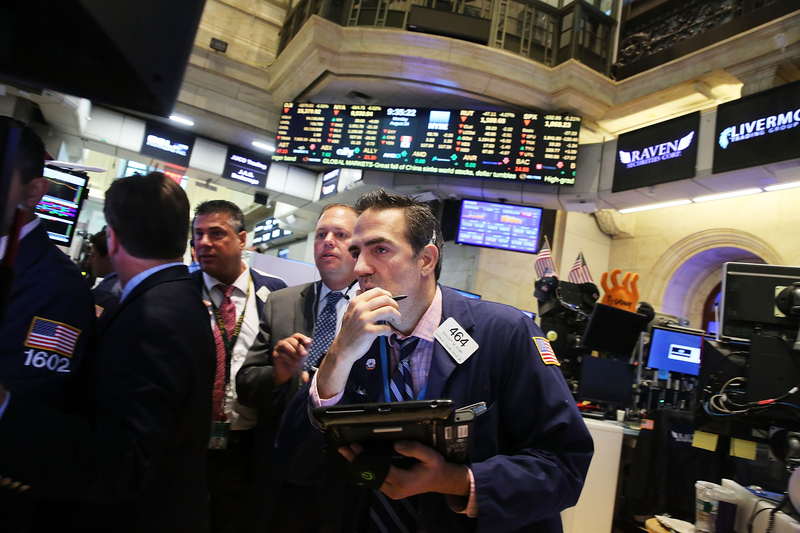 Over the weekend, the market continued to decline, sparking anxiety when it lost 1,000 points Monday morning. That same day, presidential candidates like Bernie Sanders and Donald Trump openly commented on the topic. Vox reports that while as of yet, no one really knows — at least publicly — the reason behind the drop, many believe it's related to the Chinese economy, which has taken a bit of a nose dive recently. The market might be bouncing back, with a 200-point gain by Monday midday, but it's still the worst losses it"s seen since October 2008. Peter Kenny, chief market strategist of the financial tech group Clear Pool Group, told CNN, "We have not seen this level of full-blown panic in markets for quite some time." Even if it's bouncing back, it's still pretty bad. Vermont Senator Bernie Sanders tweeted a response which emphases his stance on Wall Street and trading generally. Sanders has proposed legislation that has tried to prevent banks from gambling with people's money, and a major part of his campaign is explicitly about reforming Wall Street. On his website, he writes, "Wall Street cannot continue to be an island unto itself, gambling trillions in risky financial instruments while expecting the public to bail it out." And of course Donald Trump has made a series of comments of his own. You wouldn't expect the real-estate mogul-turned-politician to sit quietly, would you? First, he just says that the market is bad, and he can fix it ... so vote Trump. Really, he's just saying "America's messed up, and I'll make it great again." Yet how he plans to do anything is unclear. Judging by Trump's campaign website, he has no plan for fixing trading and Wall Street. In fact, the only issue he's tackled (haphazardly) is immigration reform.Of course, Trump also insists that he anticipated this before it happened, noting this in both a tweet and an Instagram video. As potential presidents, its essential that the candidates comment on U.S. issues — like this drop in the market. But Trump only uses the problem to say, essentially, that you should vote for him so he can fix thse issues (without any agenda as to how he will do so). Sanders' comment is more productive: He points out that Wall Street has a problem, and he has legitimate ways to improve it. Just look at an entire page on his campaign site. In the end, its seems as if Trump is using the bad news to loudly promote himself, while Sanders is using it more constructively, pointing out an issue he wants to solve.